The history of the Passionists goes back to the seventeenth century to Ovada, a small town in northern Italy. Ovada still stands, a bright splotch of red-tiled roofs huddled in the quiet green foothills of the Appenines. Behind it the great bulk of the mountains breaks gradually against the sky, while at its feet the last spreading slopes tumble swiftly into the Po Valley. During more than a thousand years, Ovada was like any other Italian town under any Italian sky--commonplace and ordinary, famous for little except its excellent white wines and the cold bitterness of the winters sweeping down upon it from the Alps. But in the last decade of the seventeenth century, it took its place forever in the imperishable archives of eternity, for in Ovada on January 3, 1694, was born Paul Francis Daneo, a cloth merchant's son. In every beginning is hidden the outline of the ending, and the first mile of every new road has about it something of the last. So it was with Paul Francis Daneo--known to the world today as Saint Paul of the Cross. Even during his childhood, there shone out brief flashes of the holiness that was to make glorious the eventual achievement of his life. A faith-filled relationship with Christ and His holy Mother, devotion to the Blessed Sacrament, love of the cross, and a keen sense of the supernatural--all these marked the life of Paul Daneo from the beginning. In this short sketch, we cannot pace with him each step of his long life, but it is possible to outline in a few sharp strokes the basic pattern around which was painted the final picture of his life. When our Founder, St. Paul of the Cross, was but twenty-six years of age, God revealed his life's mission through a number of visions. One morning in the autumn of 1720, he was returning from the Capuchin church where he had attended Mass and received Holy Communion. Suddenly, in spirit, Paul saw himself clothed in a rough woolen tunic; it was black, and over the heart he saw a white cross beneath which was the Holy Name of Jesus. At the same moment, an interior voice said: "This signifies how pure and spotless that heart should be which bears the Holy Name of Jesus engraved upon it." A long tradition in the Passionist congregation tells us that the Mother of Jesus herself came to St. Paul of the Cross and showed him the Passionist habit. She revealed that God wished him to found a new religious Institute whose members would be clothed in black as a sign of mourning for the suffering and death of her Divine Son. That experience gave meaning to Paul's future life and all the sufferings to come. Within a few months he was clothed in the black habit by Bishop Gattinara of Alessandria. Afterward Paul retired to a small sacristy in the Church of St. Charles in Castellazo. There, during a 40-day retreat, he wrote the primitive rule of his future Congregation. Our Lady appeared to young Paul wearing a black and white habit. Paul, wearing a long black robe as a sign of his commitment, took care of the church property, prepared the altar before Mass, and taught religion to children. St. Paul wrote a Rule, which contained his vision of how he would live his life. In 1721 he brought the Rule to the Vatican for the Pope’s approval. The guards, thinking him a beggar, turned him away. Paul, now living in Rome, was ordained a priest in 1734. After a brief time as a hospital chaplain, Paul channeled his time and energy into preaching throughout Central Italy. Traveling where he was invited to preach, even to marshlands infested with malaria, Paul taught people how to pray and meditate upon the suffering and death of Jesus. The sick poor and the abandoned poor were special recipients of Paul’s concern and love. He would also preach to the clergy and remind them of their obligations to serve the poor. During his long life of 82 years, Paul founded 12 monasteries, overcoming numerous obstacles. In 1771 he realized his life-long desire when he founded the first monastery of Passionist Nuns. After many years of preaching and serving the Passionist community as its founder and leader, Paul died in 1775. He was eighty-one years old. Early in his life, circumstances united to burn into Paul's consciousness the reality of his vocation. There were misunderstandings, apparent failure, sorrows and sufferings. These scourged him and crowned him with thorns, as if to engrave indelibly upon him the mark of the Crucified. But his love for Our Lord grew ever more radiant in Paul's soul as the years passed, pushing back the shadows. In the end he succeeded. His fame as a missionary of the Cross drew people from every part of the country. For nearly half a century he tramped the roads of Italy, preaching Christ and Him Crucified, enkindling the fire of God's love in the hearts of men, women and children wherever he went. In the midst of all this activity, Paul found time to write many letters of profound spiritual direction to people of every walk of life who sought his guidance. A theologian who has studied his letters once said that Paul should be made a doctor of the Church because of his holy friendships and his gift of spiritual direction. When St. Paul of the Cross died in 1775, his Congregation of the Passion numbered two hundred and eighty members, living in twelve houses scattered up and down the Italian peninsula. The Rule he wrote for his sons is based on a spirit of prayer, solitude, poverty and apostolic zeal. The life he envisaged is a radical living of the Gospel for love of Him who died for us. His monasteries, which he called 'Retreats', were to be built, whenever possible, in places of solitude, far from human dwellings, in order that his religious might more easily lift their hearts to God. Much of the day was to be taken up with prayer. Silence was to be observed at all times, except for a short period of recreation after dinner and supper. Fasting and other penitential practices round out a religious routine which has since given saints to the Church--St. Paul of the Cross himself, St. Gabriel of the Sorrowful Virgin, St. Vincent Mary Strambi, Blessed Dominic of the Mother of God and many others that you can read about on our website. In 1741, Pope Benedict XIV gave his approval to the Congregation of the Passion. Twenty-eight years later, Pope Clement XIV blessed it with the Church's final and solemn approbation. Providence had destined St. Paul of the Cross for another great spiritual achievement. God inspired him to found a community of cloistered Nuns dedicated to the loving memory of the Passion of Jesus. This is our treasured heritage. By our life of prayer and sacrifice as we stand in spirit with Mary at the foot of the cross, we are called to give added power to the preaching of his Passionist sons. Our rule puts it eloquently: "Within the Church, the Passionist Nuns are called to be a sign of the love of Jesus Crucified for the Father and for mankind. By their unceasing contemplation of the Paschal Mystery of Jesus, the greatest and most overwhelming work of God's love, they are certain of contributing to the fullness of the Church's presence to mankind...convinced of the absolute necessity of God's grace for the fruitfulness of the apostolate, they offer their unceasing prayer and joyful penance that God send zealous workers into His harvest, convert sinners and open the minds of non-Christians to hear the Gospel...The Passionist Nuns seek to imitate Mary who devoted herself totally to the Person and work of her Son, serving the mystery of redemption." The saintly woman God destined to aid St. Paul of the Cross in founding the Passionist Nuns came from a wealthy family of Corneto (now Tarquinia) Italy. Her name was Faustina Gertrude Constantini. 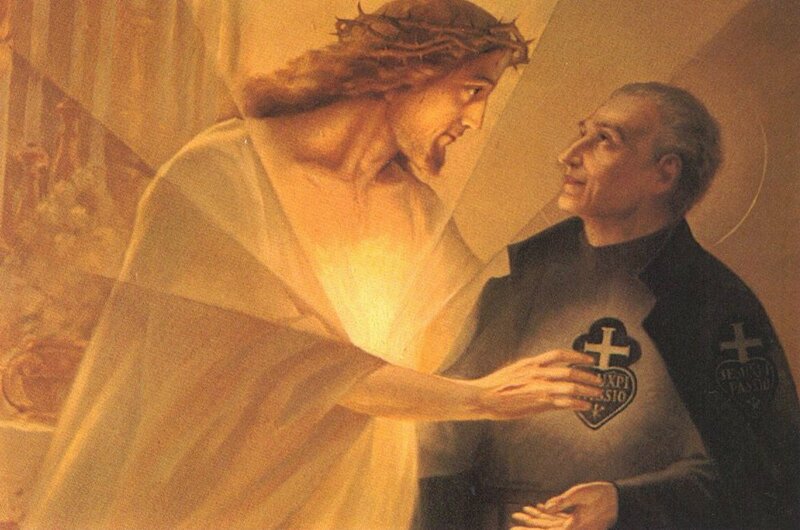 Having entered the Benedictine monastery in Corneto, Faustina came in contact with St. Paul of the Cross during a retreat he preached there in 1736. Throughout the following years, Paul's hopes of founding the cloistered Passionist Nuns grew ever stronger in his heart. He also became more and more convinced that this saintly Constantini woman was the one person whose love and generosity were great enough to see the project through at whatever cost to herself. Her intense love for Christ Crucified marked her for the suffering which St. Paul knew to be inseparable from such an under-taking. As early as 1757, he wrote to her that he hoped one day to see her wearing the same holy habit of the Passion of Jesus Christ which he himself wore. For many years the difficulties seemed insurmountable. But eventually, the Constantini family gave of their fortune to build the first monastery of Passionist Nuns at Corneto. St. Paul of the Cross wrote the Rule for the new community and Pope Clement XIV approved it on September 3, 1770. On the Feast of the Finding of the True Cross, May 3, 1771, the new monastery was formally established. Mother Mary Crucified Constantini, having received an indult from the Holy See permitting her to pass from the Benedictine monastery to the new community of Passionist Nuns, received the holy habit of the Passion in company with ten other aspirants. Each of the aspirants had also been directed by St. Paul of the Cross, and had received from him something of that burning love for Jesus Crucified which enflamed his own soul. Entering upon their new life in a spirit of humble gratitude to God for the sublime vocation to which He had called them, they were committed to live with Mary at the foot of the cross, and by their compassion for her sorrows and the sufferings of her Son, to win the grace of salvation for countless souls. The enclosure was established in the new monastery, and Mother Mary Crucified was appointed the first superior of the Passionist Nuns. One year later the nuns pronounced their vows. Sickness prevented their holy Founder from being present; nor did he ever recover sufficiently to visit them. But during the next few years, while confined to his room at Saints John and Paul's in Rome, Paul frequently wrote to his daughters, sharing in spirit the sufferings and difficulties testing their faith and generosity in those early beginnings. Although the long life of St. Paul of the Cross came to an end on October 18, 1775, his life's mission continued on and grew steadily. The memory of his holiness burned in the hearts of his sons and daughters, and with the passing of years, new foundations were made all over the world. 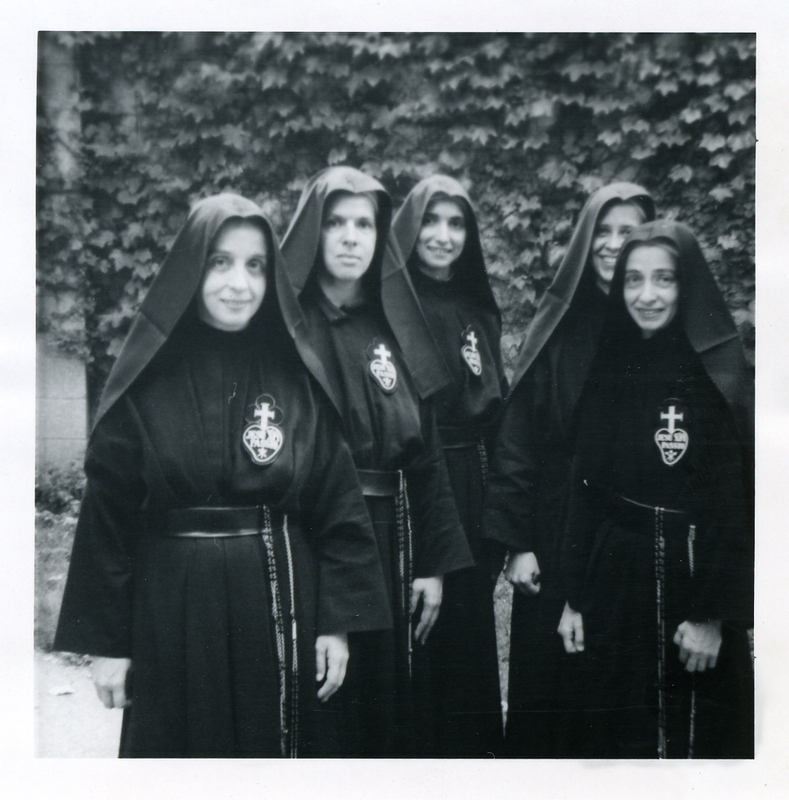 In 1910, five courageous religious left the original monastery in Corneto to found the first community of Passionist Nuns in the United States in Pittsburgh, PA. From this first American house another foundation was made in Scranton, Pa. in 1926. The Scranton community in turn sent five Passionist Nuns westward to found our community in Owensboro, KY in 1946. We relocated our St. Joseph Monastery from Owensboro, KY to Whitesville, KY in 1995.